By Lori Ferraro Imagine my surprise and absolute delight when I saw that THIS was on my eight-year-olds Christmas list: Yes. 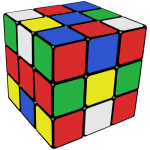 Oh yes…my old friend/nemesis, the Rubik’s Cube. 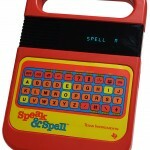 Everybody had one back in the 80s! You did too, right?!? 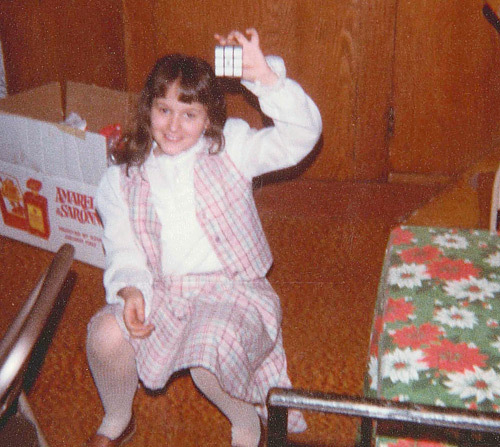 I begged my parents for one for my birthday – they ended up getting me a knockoff pyramid shaped puzzle that I pretended to enjoy for a while. The pyramid was cool and all but it wasn’t the real deal. I remember kids getting in trouble for sneaking their Rubik’s Cubes out and playing with them during class. 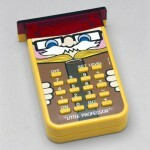 I also remember a kid with a bowl cut named Myron who could solve it in five minutes flat. He started charging other kids who would bring him their jumbled up messes for him to solve. (I never really understood how that was fun, having someone play your game for you?) FINALLY…the following Christmas Santa was good to me: This outfit and this present are burned in my memory. This was at my grandma’s house, Christmas Day in her basement. Like the kids in class at their desks I would not put the thing down, even at the dinner table which did not go over well. I kept it on my nightstand so it was the first thing that I saw in the morning and the last thing I saw every night – I was a tad bit obsessed, along with a million other 80s kids. 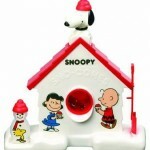 I wasn’t allowed to take it to school but I took some cash that I had and bought one of those mini ones, like on a keychain. I put that puppy on the zipper to my book bag so I always had it with me. 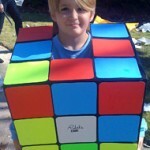 Like other toys I eventually lost interest in my Rubik’s Cube. 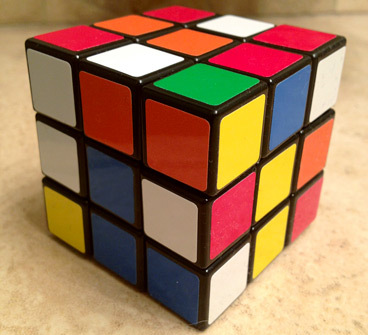 After I didn’t have the energy anymore to try and solve it and didn’t care enough to give Myron any money to solve it for me I did what all the other kids who couldn’t figure it out did. I peeled off the stickers and put them back on so red was all on one side, blue was on another, and so on and so on. The stickers looked all lopsided and weird. The cube was never the same after that, it’s like it knew that I had cheated and it broke. 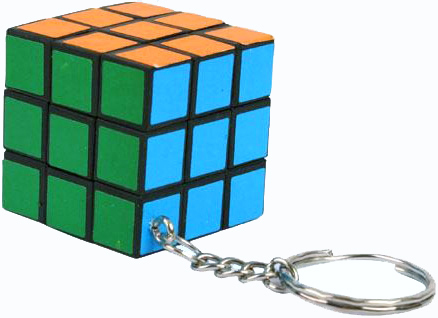 I kept at my little keychain cube for years after that, it was always in the bottom of my purse or in my coat pocket. I never did solve it. But now I have a new cube to work on along with my son. We’ve been passing it back and forth and before it got all scrambled I had fun showing him how we used to make patterns/designs by turning it certain ways. Time to get obsessed again – and no way am I telling him how I peeled the little squares off back in the day.